Men are my preference. Follow my journey. 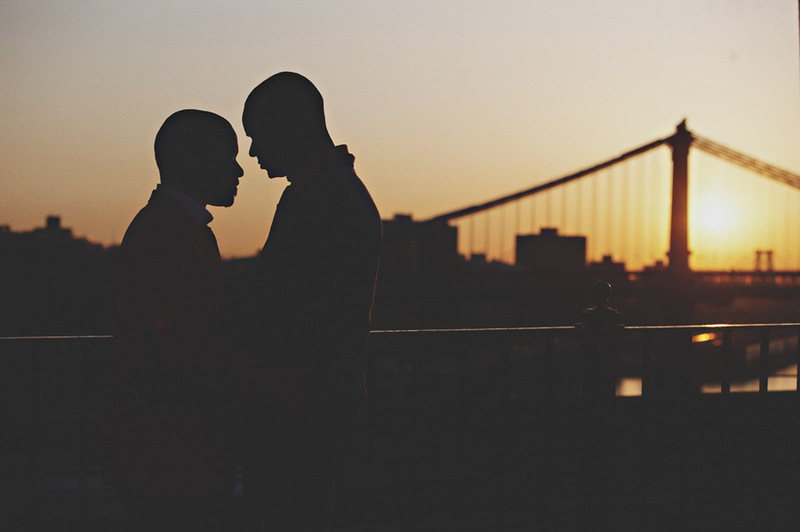 : So What Do I Think Of Rob and Nate's Nuptials? 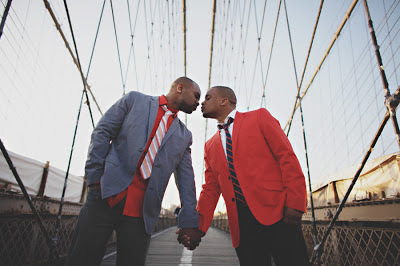 Robert Brown and his boy Nathanael Gay have been the focus of a black media storm after the couple posted a montage of their wedding day onto YouTube The clip drew criticism from those opposed to gay marriage and from the Greek chapter Kappa Alpha Psi for their choice of colours and using the Greek hand sign. 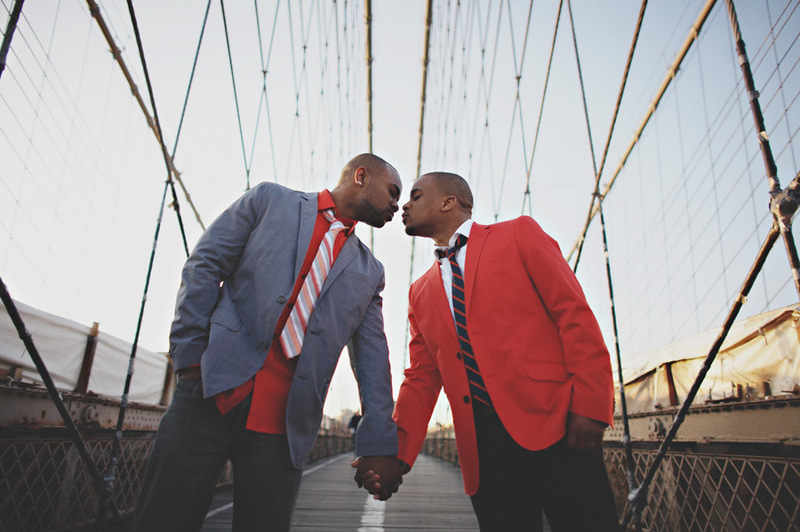 When it comes to masculine relationships, there is usually a code of discretion that usually goes right along with it. You know what it is, your boy knows what it is and your boys living similar lives that you consider tight friends also know what it is also. No need for a song and dance or public displays of affection. Why? Because minimising the drivers for relationship scrutiny is what keeps a relationship pure. Especially given that more often than not, male relationships are built on fragile foundations. But when the relationship strengthens and the personal barriers open one by one as your better half earns your respect and reciprocated loyalty as a duo you become invested on the same page in what you are building. In turn you want to get to a place where all the friends and family you consider part of life are accepting of the life you are trying to build. They don't have to like it, but they should at least respect it. Now, my view on gay marriage. I'm all for it. There is nothing more aspirational than getting to the point where you have a partner who like you is headstrong and able to debate ignorance with ease. Nothing like a partner who is socially mobile and security-wise equally yoked. Nothing like a partner that maintains your interest and inspires you to go harder and not settle. So to be able to stand alongside that person and those people you hold highly to commit is I'd imagine a fulfilling experience. What I liked most about Rob and Nate's big day aside from the upscale attention to detail was the supportive love of friends and family they were surrounded with and the way in which the two of them carried themselves. On Nate having to defend his marriage on the Tom Joyner show.. Although my view is that I feel that Nate didn't have to dignify Tom's show nor any others with a response, I am glad he did because the articulation in response to the ignorance was a good look and introduced black America and the World to an era where black men can be educated, successful, good looking, articulate and just so happen to be commited to another man openly with acceptance from the people that matter without it being to them a 'big deal'. The 'New Normal' perhaps?